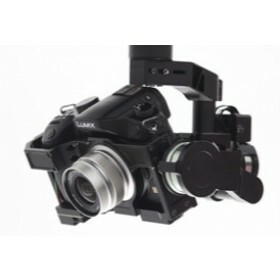 The DJI Zenmuse BMPCC Gimbal has been designed for use with the Black Magic Pocket Cinema Camera; the DJI Zenmuse BMPCC is built on the class leading technology found in the other Zenmuse Z15 series of brushless gimbals. 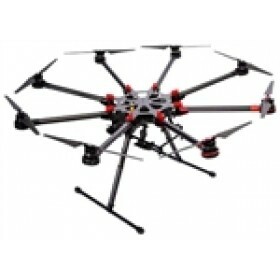 The DJI Zenmuse BMPCC gimbal delivers an increase in performance with a high level of control, within .01 of a degree when used with the DJI A2 or Wookong M flight controllers; this means that the highest level of stability of is maintained even when the aircraft is operated in challenging conditions like strong winds or at high flight speeds. Due to the small size, lightweight body and feature rich functions of the Black Magic Pocket Cinema Camera the DJI BMPCC Gimbal’s are the perfect choice for the world of aerial photography. The BMPCC’s are capable of delivering true digital film images with 13 stops of dynamic range, using the super 16 sensor size and high quality recording in lossless Cinema DNG RAW and Apple ProRes™. 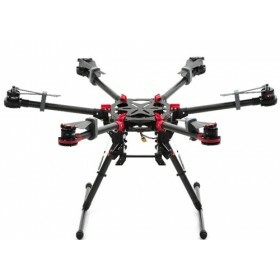 The recommended lens for use on the BMPCC is the Olympus M.ZUIKO DIGITAL ED 12mm f/2.0, both the DJI S800 Evo HexaCopter and DJI S1000 OctoCopter can carry the BMPCC camera and gimbal due to its lightweight. The DJI Zenmuse BMPCC controls are the same as found in the Z-15 Zenmuse gimbal range from DJI, this will allow current users to seamlessly move over and feel right at home using the BMPCC gimbal. New users to the Zenmuse camera gimbal range will find the three control modes: Orientation-locked control mode, Non Orientation-locked and back to mid-point mode quick and easy to operate, supporting the many different requirements of aerial photography. 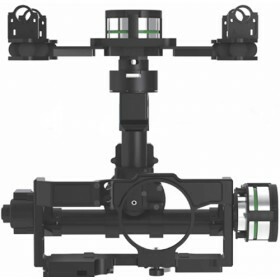 The 3 axis Zenmuse gimbals are simple and easy to use and control from a transmitter, the stick movements have direct control which deliver a "relative" rotational speed at the gimbal, the DJI Zenmuse BMPCC gimbal have built in potentiometers that increase the stability and precision to reduce post production work flow time. The BMPCC has integrated internal slip rings to remove the need for external wires, all power, control and video signals required to use the Zenmuse are carried internally of the gimbal, this means that the gimbal can be used through the full 360 degrees of rotation on the Yaw and Pitch axis and to a maximum roll of 40 degrees. The built in HDMI to AV (analogue) module in the BMPCC gimbal is a small light weight system to convert the HDMI signal to AV, which ensures the smooth and free movement of the 3-axis Gimbal and adds additional features like shutter control from the RC transmitter. 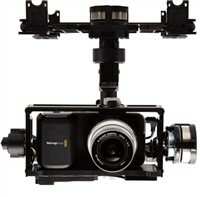 The DJI Zenmuse BMPCC gimbal uses a custom gimbal servo drive module which allows for additional stabilising, the custom stabilising algorithm gives the highest precision control characteristics of low vibration and high torque motors for the best possible output from the gimbal and camera combination. Communication Interface CAN (Compatible with ACE One, Wookong M & A2 Flight Controllers). 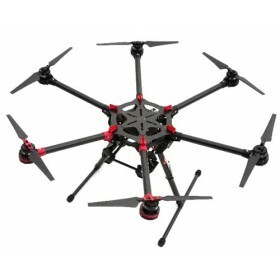 Weight 1.2 Kg (Without UBEC, HDMI-AV module). Dimensions 200mm × 200mm × 223mm. Load Weight (Reference Value) 521g (BMPCC). Max Controlled Rotation Speed ±130°/s. Supported Cameras Black Magic Pocket Cinema Camera. Please Note BMPCC Is Not Included With The Gimbal.